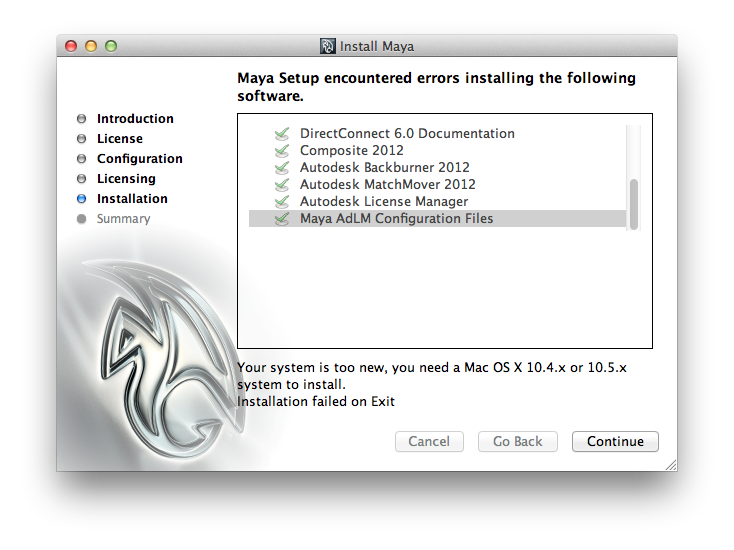 I downloaded the Autodesk Maya 3D software package today, directly from Autodesk, and was dismayed to see this error when trying to install. For those of you not in the know: the software goes so far as to have “2012” in the name, but it requires Mac OS X 10.4 (discontinued in 2007) or 10.5 (discontinued in 2009). Is this what it’s like to use a PC?